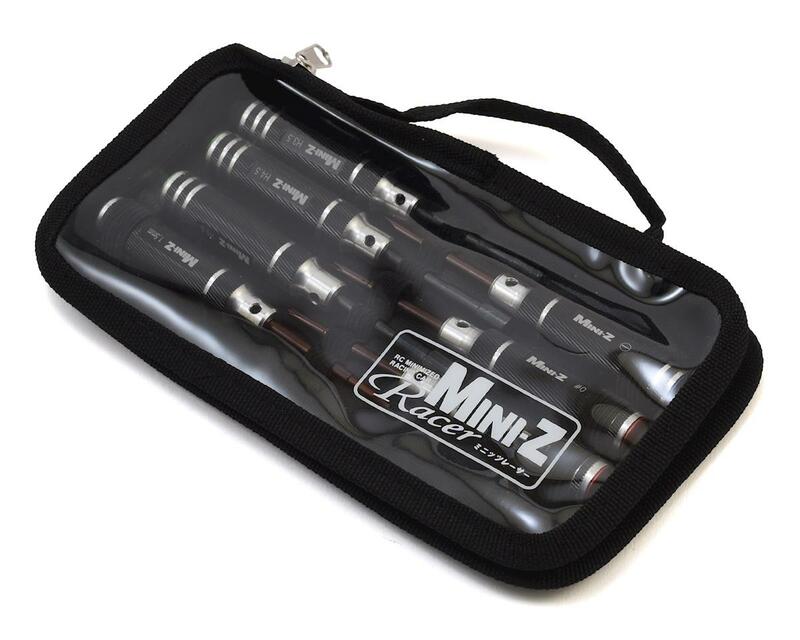 The Kyosho Mini-Z Tool Set was developed to help simplify the maintenance process on your Mini-Z, with tools optimized for the job. 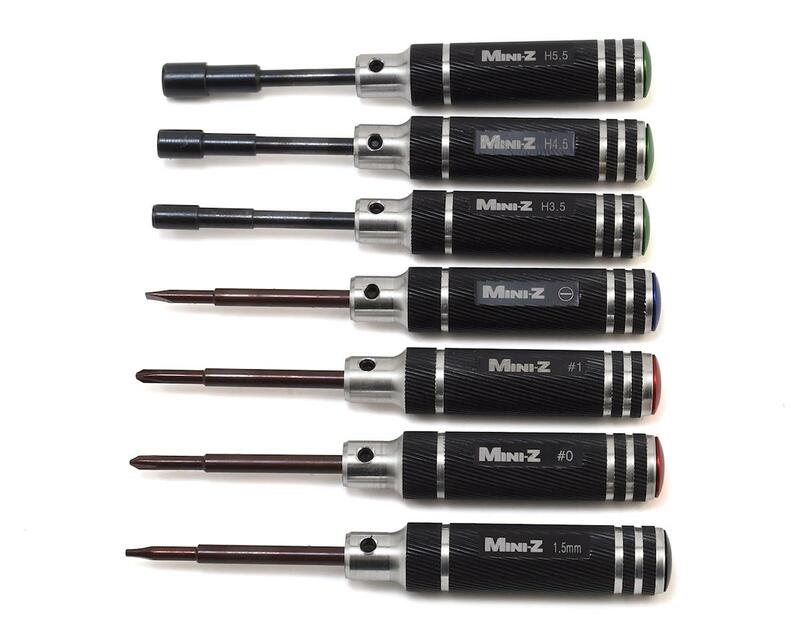 The kit features machined aluminum handles on 3.5, 4.5 and 5.5mm nut drivers, #0 and #1 Phillips head screw drivers, 1.5mm hex wrench, and a flat head screw driver, so you have all the hand tools necessary to keep your Mini running strong. 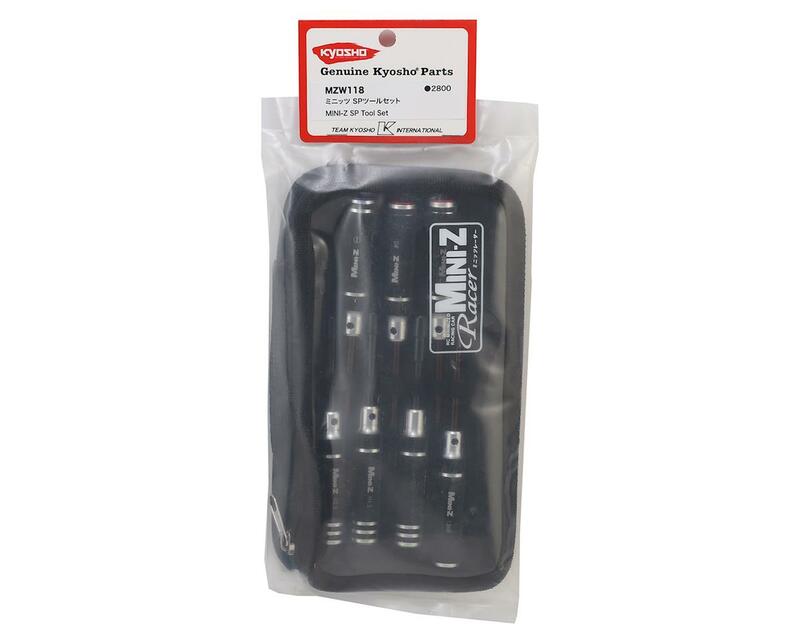 Plus, the kit includes a handy carrying case that makes it easy to keep your tools safe and organized.